Republican presidential candidates spewed statistics and positions throughout the two-hour debate Tuesday night, but not everything that they said was true. NBC News’ partner Politifact highlights some of those statements. Fact check 1. Rand Paul says Marco Rubio "is the one for an open border." Fact check 2. Jeb Bush said: “Two months ago Donald Trump said that ISIS was not our fight." Cruz is conflating scenarios. James Comey never said the FBI couldn’t vet the 10,000 Syrian refugees allowed admittance into the U.S. Comey said he couldn’t personally certify each refugee. 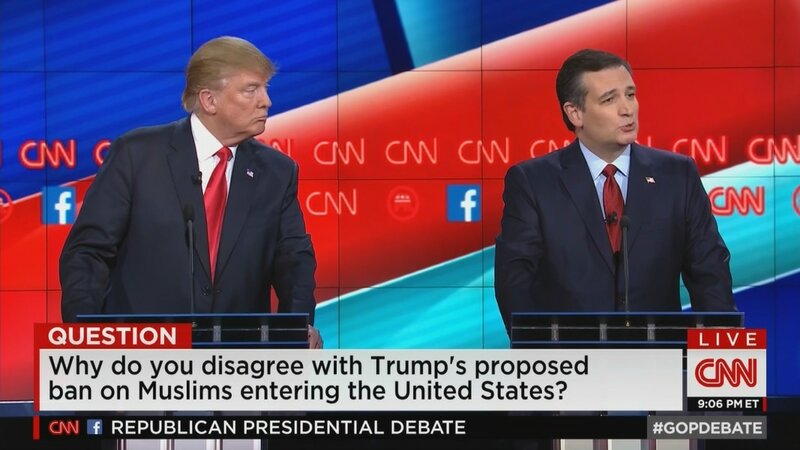 Cruz said, "You would carpet bomb where ISIS is -- not a city, but the location of the troops. You use air power directed -- and you have embedded special forces to direction the air power. But the object isn't to level a city. The object is to kill the ISIS terrorists."